We are a week out and very excited to see everyone! Remember Pre-Party next Friday at the Blind Pig Sports Lounge and we have rooms discounted at the Quality Inn & Suites Salina. We have lots of cool donations and some amazing custom pieces for this year’s auction, so come party like rock-stars and help us raise some HOPE! 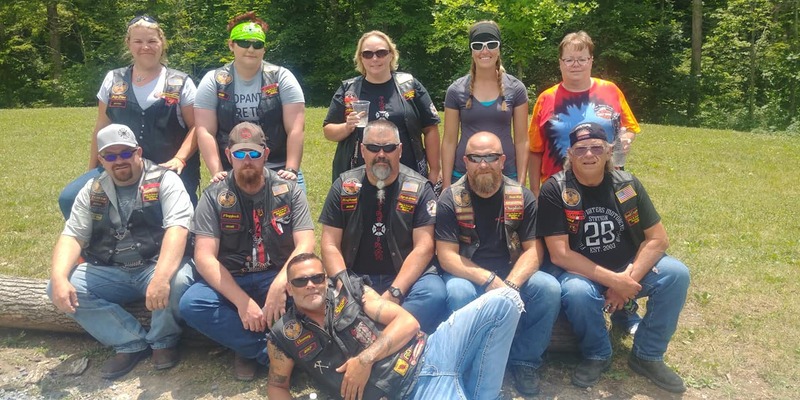 This last week several of our members made the trek to West “By God” Virginia for the 2018 National Rally. Food, Fun, Water sports, Some of the most beautiful riding, and of course a little debauchery was enjoyed by all!! 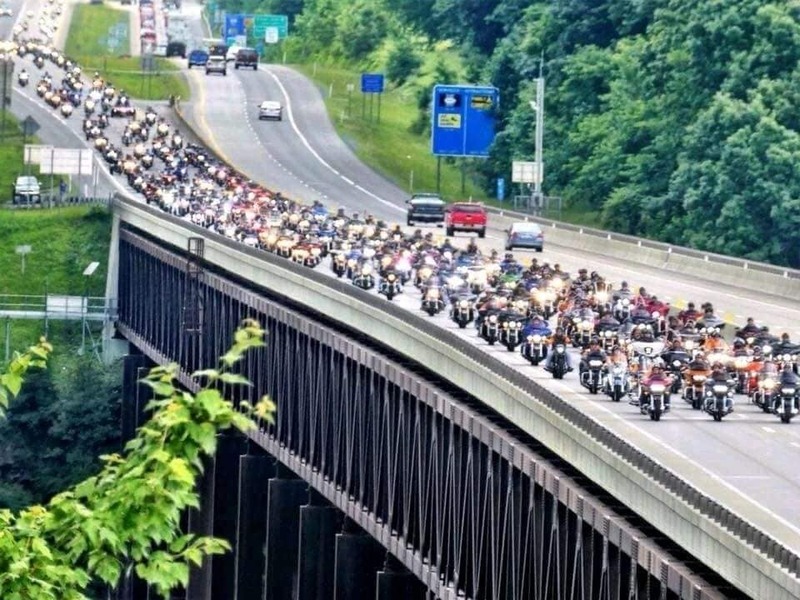 If you ever get a chance to ride through the Appalachian Mountains I would highly recommend it! 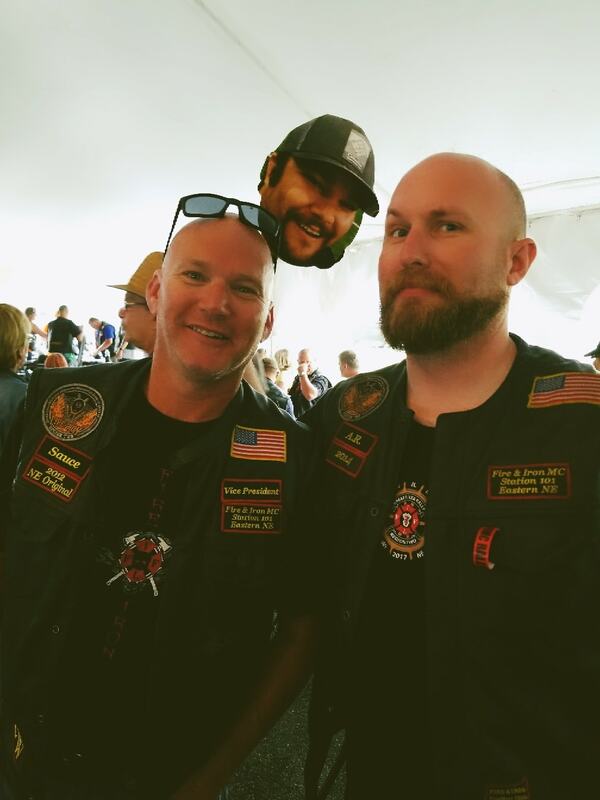 We are very happy to announce Kail Greep and Zeb Larson as the benefactors for the 2018 Ride for Hope. Kail, a second grader at Enterprise Elementary, was diagnosed in 2017 with LCH (langerhans cell histiocytosis). He has already underwent numerous treatments of chemo at Children’s Mercy in Kansas City. Zeb was diagnosed with melanoma cancer in December 2017. He has sought treatment at KU Medical Center and had surgery on one of 3 brain tumors the second week of January. 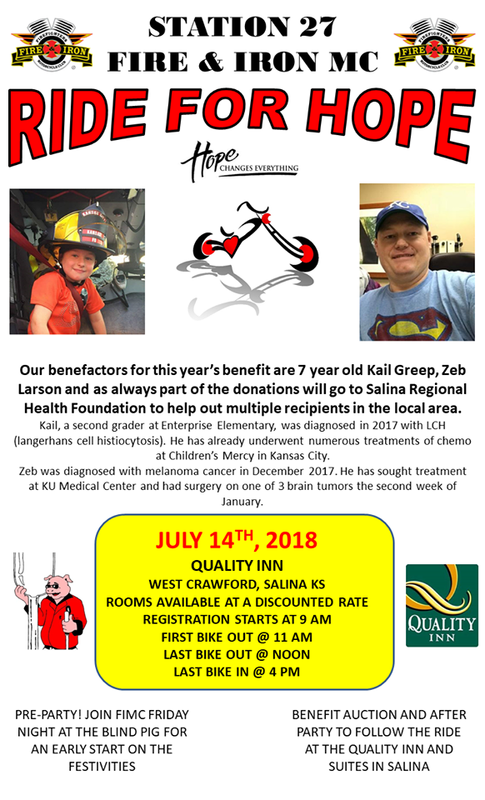 As we have in the past a portion of the proceeds will also go to Tammy Walker Cancer Center here in Salina to help a multitude of local people. We hope to see all our familiar faces and alot of new ones out to support these people on July 14th! Once again FIMC 27 has a Green Mountain Tailgater Grill up for grabs! 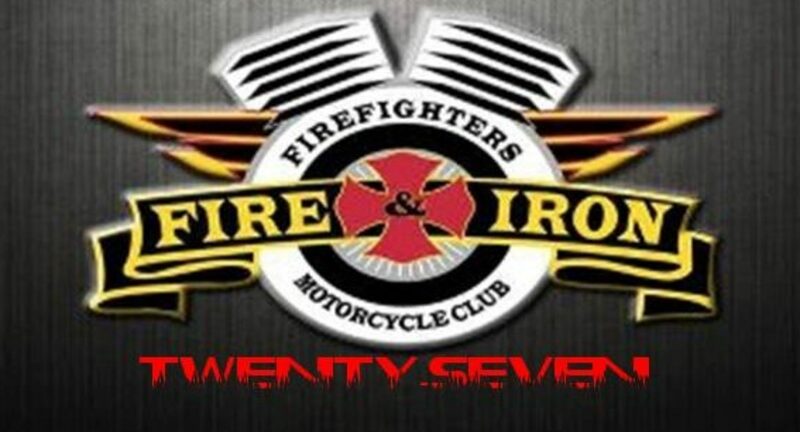 All the proceeds for ticket sales goes to the benefactors of this years Ride for Hope. 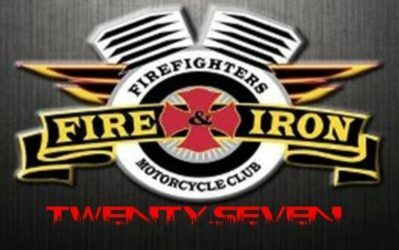 Catch up with any of our members or get ahold of us through the contact page on here to get yours! 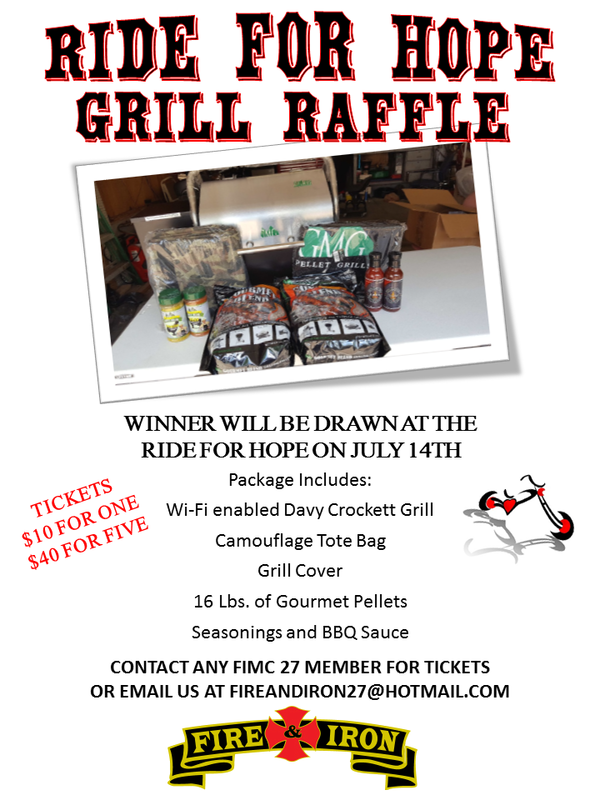 The winner will be drawn and announced July 14th at the 2018 Ride for Hope here in Salina KS. We will be taking submissions for the 2018 Ride for Hope until March 1st. If you know someone that would make a good candidate please go to the submissions page or click on the link below and shoot us their information.